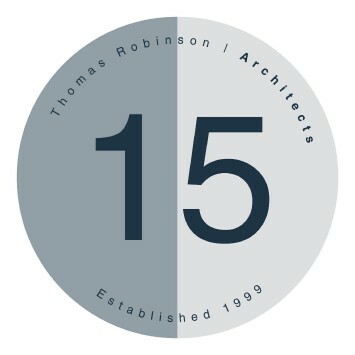 Thomas Robinson Architects was founded by Tom Robinson and Fiona Robinson. The 15 year maturation process has lead the practice to now possess a high level of confidence in design, in construction and in the manner in which it delivers its very personal service. We would like to thank all our clients, colleagues and peers for their support during the last 15 years and look forward to doing business with you for the next 15 years. We will be having a celebration later in the year to mark the occasion.